Thank you for visiting Gordon Rumford Ministries. someone who has recently lost a loved one. Gordon has experienced much adversity in his life and haas made it a life calling to help others who are experiencing similar circumstances. Living in Burlington with his wife Susan, he works with people who have found themselves in over their heads and need some friendly guidance from Scripture to walk through the maze of their problems. This work occupies Gordon Full time. Gordon has survived several surgeries for cancer, deals with other health issues, and has suffered the pain of a marriage breakdown. For abut 25 years Gordon acted as company chaplain to ISECO (the safety shoe people) in Mississauga. This work involved visiting the offices of the company each week and having private consultation with various employees as needs arose. Gordon’s chaplaincy work also involved work in various local hospitals in southern Ontario and working in criminal court as a volunteer chaplain. Over the years Gordon has visited prisoners in many penal institutions in Ontario. The subjects covered in Gordon’s ministry include such things as helping a terminally ill patient put their personal affairs in order, bereavement counselling with families after a loss, how to take the teaching in Scripture concerning tragedy and use it to guide people through the pain of suffering. People in many countries world-wide have subscribed to the daily devotionals offered on this website. Wonderful stories filter back to Gordon of how a particular devotional brought light in a dark time in life for suffering people. 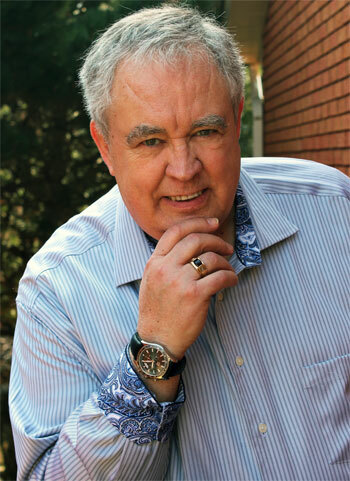 Gordon began his full time work in the Christian ministry in the spring of 1966 when he graduated from Central Baptist Seminary in Toronto (now known as Heritage Seminary and presently located in Cambridge, Ontario). Gordon has also graduated with an honours B.A. and an M.A. from the Religion and Culture department of Wilfred Laurier University in Waterloo. Usually Gordon works with people in pain who have been referred to him by others who have received his help. He also does work in several local congregations near his home in Burlington. If you are a person who is presently suffering from some tragedy or know someone who could use some confidential assistance Gordon would be happy to have you refer the person to him. Gordon along with his wife Susan hold seminars in local churches on topics such as, understanding the initial responses to tragedy, transitional issues and coping devices for the long term. Occasionally they use their own life experiences or have others give a testimony concerning how they survived trauma in life. Gordon has written two small booklets on coping with life issues that are available to anyone who emails us with the request for them. One booklet examines how Abraham coped with the mysterious command of God to sacrifice his son Isaac. The ways Abraham coped are clearly described. The other booklet is a series of short stories that illustrate how Gordon helps people in different situations and how you can apply these scriptural guidelines to minister to someone who is suffering. How is Gordon funded for his life calling? Often when in crisis people do not think of how the helper is paid for his or her services. They are far too busy trying to cope with life to consider the material needs of the one who helps them. A small core of people and a couple of local churches that know of Gordon’s work assist him to a significant extent. If you have a desire to help in the support of this ministry, tax receipts for donations will be issued to all who make financial contributions. Please see the Donate page for more information. * someone who has recently lost a loved one. personally, please contact us <http://rumfordministries.org/?page_id=9>. has recently returned from Malawi, Africa. school teaching the Life of Christ. Shoreacres Bible Chapel <http://www.shoreacres.ca/> in Burlington, Ontario. <http://rumfordministries.org/?page_id=14> posted for your information. after with breaks between each. Personal testimonies from people in pain are also included. please call us at 905-609-1018.